There are many beautiful train routes in India on which Indian Railways are run and create an amazing experience to enjoy scenery, blessing of Mother Nature. These scenic trains pass through breath taking routes and make you experience unbelievable moments. At several places it passes through big mountains and at several places it passes through sea. The Kashmir Railway line is very difficult railway project of Indian rail system. it crosses the major earthquake zones, high altitude mountain passes and landscape in the extreme temperatures of cold. 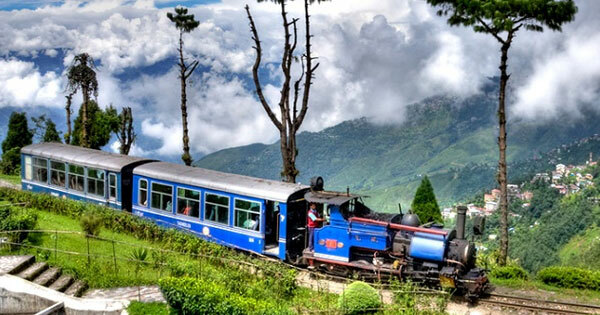 The Darjeeling Himalayan Railway is one of the five Mountain Railways of India. Kalka–Shimla Toy Train is very popular train route, where we can enjoy beauty of nature astonishingly. Guwahati-Lumding-Silchar and Visakhapatnam-Shimiliguda-Araku Valley are also the best railway tracks that people enjoy verily.